We take our users feedback seriously, you asked for more small/home offices (SOHO) devices in the Tanaza Wi-Fi Access Point management, and we delivered it with Tanaza 1.8!! 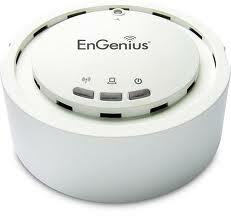 We added compatibility for two Engenius models: EAP 3660 and ECB 3500. Tanaza is on a mission to make networking easy and affordable for the small business market, leveraging two of the fastest growing trends in business: cloud-based technology and crowdsourcing. Tanaza Access Point cloud management is ideal for hotels, schools, hospitals and small businesses. Managing Wi-Fi access points used to be time consuming and expensive but we are fixing that using cloud technologies. Since Tanaza is device independent, there are a wide range of choices that we can support. We get feedback from users, through our social media and web channels, on which devices they need supported. And then, we add them to our supported devices. This latest release expands Tanaza’s rich feature set, including a growing list of SOHO access points in an easy to use web interface. The upgrade list of supported devices in Tanaza 1.8 can be accessed on our website. This product upgrade is part of our ongoing investment supporting organizations like hotels, schools, hospitals and small businesses that don’t need an expensive Enterprise-class system and don’t want to invest in one. If you have devices to manage, request to have them managed in the Cloud. If your devices are already on the list, sign up for a free account.